Grammy-winning producer Mark Ronson returns to the music spotlight with an accompanying music video for yet another instant hit, entitled "Uptown Funk" featuring guest vocals from his frequent collaborator, the multitalented Bruno Mars. The song was written by Mark Ronson and Jeff Bhasker together with Bruno Mars and Philip Lawrence. The infectious upbeat-funk track was produced by the 39-year-old British record producer, Mark Ronson over the course of 7 months while Bruno Mars was on tour. It was recorded in many different studios spanning Los Angeles, Toronto, London, Vancouver, Memphis and New York City. "Uptown Funk" serves as the lead single taken from Mark Ronson's fourth studio album 'Uptown Special', released on January 13, 2015 in the US and January 19, 2015 in the UK on RCA Records. The retro-styled music video was directed by Bruno Mars and Cameron Duddy and filmed in many cities where Mars was touring including the 20th Century Fox New York street backlot in Los Angeles, California. The fun clip works well with the joyous single as it follows Bruno Mars and his crew with Mark Ronson in the background as they dance on the streets wearing brightly colored suits and chains reminiscent of the street-clearing dance routines of '80s funkdom. Needless to say, the clip is pure entertainment. Don't believe me, just watch! Watch the visual for "Uptown Funk" below to truly appreciate the creative effort. Listen to the lyrics to hear the goodness. Play it a few times. Then if you dare, try not to have this song stuck in your head for days. Impossible, we tell ya. It is only natural that you leave a comment in the comments section. (A simple "Thank you" will suffice.) Better yet, share this video with all of your friends, so they can see it too. If you like Mark Ronson's music, then break open your piggy bank and buy it. 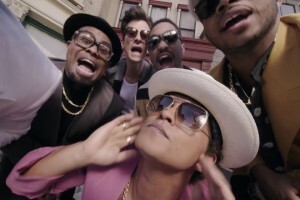 The music video premiere of Mark Ronson's single Uptown Funk ft. Bruno Mars has already been viewed 26,299 times since it was posted on Monday, April 27, 2015. 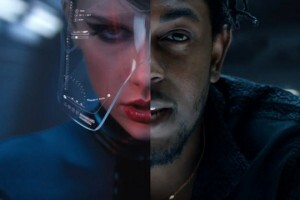 The video belongs to the music genre of Pop.